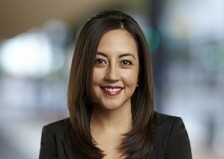 EL PASO, TX – Melissa Baeza, a construction and commercial litigation attorney with the ScottHulse law firm, was awarded the President’s Award from the National Association of Women in Construction (NAWIC) Chapter 248. Melissa BaezaBaeza was presented the award in recognition of her contributions to the success of El Paso Chapter 248 and for demonstrating exemplary professionalism in construction law. NAWIC, which has chapters in all 50 states and Guam, is a professional association that promotes and supports the advancement and employment of women in the construction industry. It also has international affiliates in Canada, Australia, the United Kingdom, New Zealand, and South Africa.